Irwin Gilbert is a senior partner at Conrad & Scherer’s Fort Lauderdale office with a practice concentrating primarily on complex commercial litigation, general business litigation, construction defect litigation, class actions and professional liability.Practicing in State and Federal Courts in Florida and across the Country, Irwin represents fortune 100 companies in high stakes litigation. He has been selected as lead counsel for the defense in mass shooting cases.Irwin believes that success depends on communicating with the client to fully understand the client’s needs and expectations and designing a strategy to achieve those results in the most efficient manner possible. He has repeatedly “compressed the timeline” of litigation to conserve the client’s resources and minimize the disruption of the client’s business. When it comes to litigation, time is money. Compressing the timeline means getting the case on the fastest track, deflecting delay strategies by opposing counsel and getting the case to a resolution before his clients exhaust their patience and their resources. While Irwin has extensive experience taking complex litigation through trial, he believes that most disputes have the potential for less expensive resolution if the issues and objectives are clearly identified at the outset. Irwin’s clients have included banks, investment firms, executives, celebrities, legal professionals, and Fortune 500 companies. In some of his more groundbreaking decisions, Irwin reigned in fiduciaries who had exceeded their powers, including court-appointed guardians and Assignees for the Benefit of Creditors. Irwin has also protected business clients from lawsuits, including class action, antitrust matters and trade secrets cases. In several of these cases, more than one hundred million dollars was at risk. Irwin has a wide range of experience practicing throughout the United States and has litigated cases in Great Britain and Japan. His original training was in antitrust and unfair competition, defending companies in Robinson Patman and price-fixing conspiracy cases. 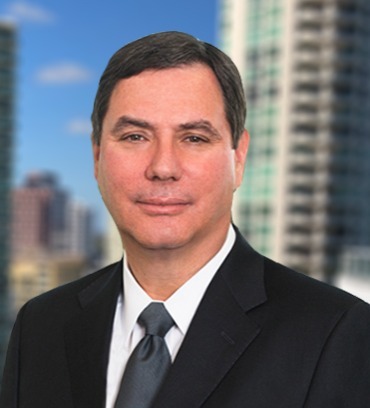 He also served as Chairman of the Business Law Section of The Florida Bar’s Antitrust & Trade Regulation Subcommittee and also as Chair of the Florida Bar’s Business Litigation Committee. Prior to studying law, Irwin studied physics and electrical engineering and was engaged in government service. Irwin earned his Juris Doctor degree from the University of Buffalo, John Lord O’Brien School of Law and after clerking, began practicing in two large New York City law firms. Prior to joining the firm, Irwin was a Partner in his own practice also defending private lenders, construction companies and commercial real estate developers in complex commercial litigation.